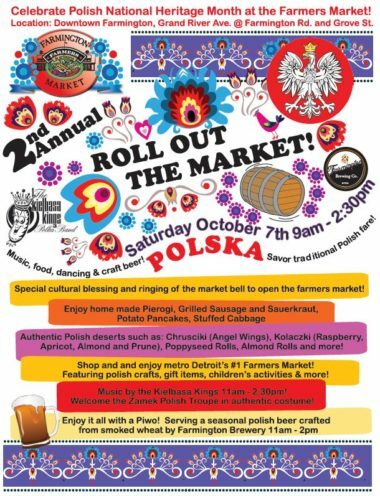 Come hang out with us at the 2nd Annual Polish Festival located in the heart of Downtown Farmington (Grand River Ave. @ Farmington Road). We’re serving up Piwo, our seasonal Polish beer crafted from smoked wheat from 11am-2pm during the festivities. Celebrate Polish National Heritage Month as you stroll down the streets. Enjoy home made Pierogi, Grilled Sausage and Sauerkraut, Potato Pancakes, Stuffed Cabbage. 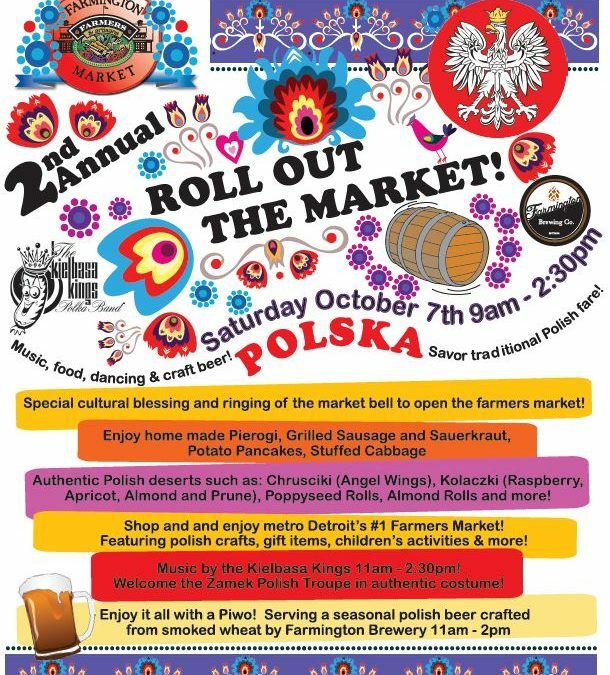 Shop and enjoy metro Detroit’s #1 Farmers Market featuring Polish crafts, gifts, children’s activities and more! Welcome the Zamek Polish Troupe in authentic costume!